Are you a video creator looking to get into influencer marketing? Wondering whether creating sponsored video content is a viable moneymaking option? In this article, you’ll discover insights from new research that reveal how influencer marketing has grown in the last year and how other video creators are planning to pursue relationships with brands. 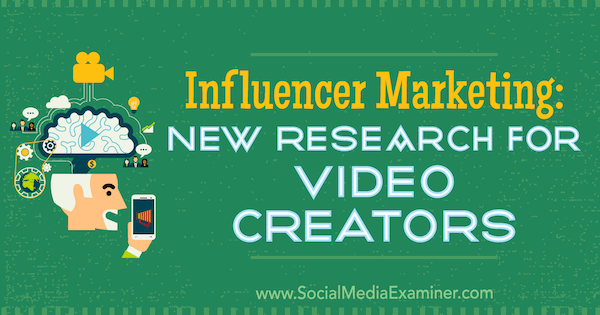 Influencer Marketing: New Research for Video Creators by Michelle Krasniak on Social Media Examiner. A year ago, Social Media Examiner published an article about the rise of influencer marketing on social media. In it, we discussed that Chute‘s 2016 Influencer Marketing Report found that 66% of the more than 200 marketing professionals surveyed used social influencers as part of their marketing strategies in 2016, and eMarketer reported that 84% of the people they surveyed planned to start using influencer marketing in 2016. Have those predictions panned out? Not really… but they’re starting to. Bloglovin’s 2017 study, How Marketers Are Leveraging Influencer Marketing, determined that out of the 100 marketing professionals they surveyed (marketers and agencies), 67% said that influencer marketing campaigns help them reach a more targeted audience, and nearly one-third (32%) responded that influencer marketing is an essential part of their marketing strategy. 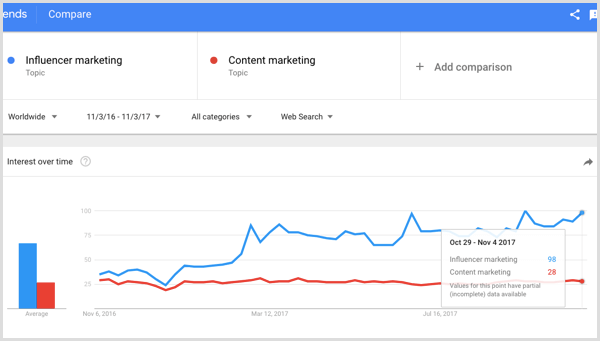 While the number of adopters may not have changed dramatically in the last year, the number of Google searches for topics related to influencer marketing has greatly surpassed the number of searches related to content marketing compared to this time last year. Content marketing. Visual content. Video. There always seems to be something shiny and new that digital marketers are told they should be including in their mix. While the adoption rate of influencer marketing hasn’t been as rapid as other methods, it’s clear the subject is on the radar for more marketers looking to stay ahead of the curve and stand out from the noise. Still, it’s one thing to create more infographics and fire up the video camera for more live video. It’s an entirely different thing to locate influencers who align with your brand, especially now that they’ve become more selective about the brands they partner with. After all, influencers are brands with loyal followings, which is why marketers are interested in signing them as brand ambassadors. Broader use of social influencers is definitely on the horizon. Social Media Examiner’s Creator Monetization Report 2017 found that only 19% of video content creators use brand sponsorships/influencer marketing. Of those who do, only 6% of their income comes from it. Despite this, 50% plan on doing more of it in the next 12 months. 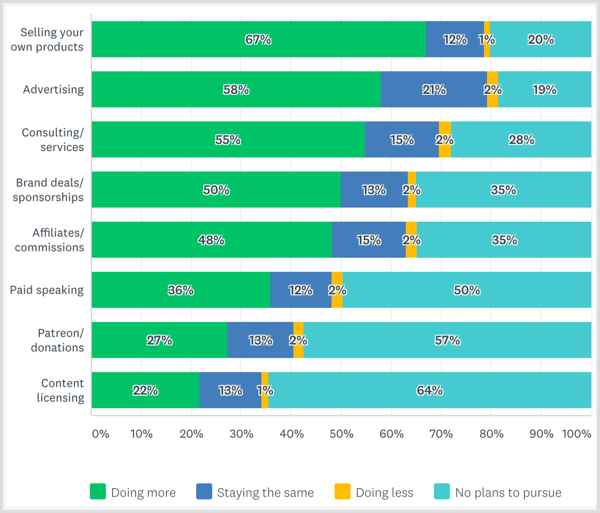 Additionally, 62% of video creators surveyed want to learn more about how to take advantage of brand deals and sponsorships/influencer marketing opportunities. In #HASHOFF‘s Influencer Marketing: State of the Union Report for fall 2017, one of the biggest findings was that only 2.7% of the 400 influencers surveyed reported that YouTube is their platform of choice. However, respondents predicted that by next year, that number will grow four-fold. Nearly 92% of respondents said they use Instagram and 2.7% report using Facebook, both platforms that host video content. 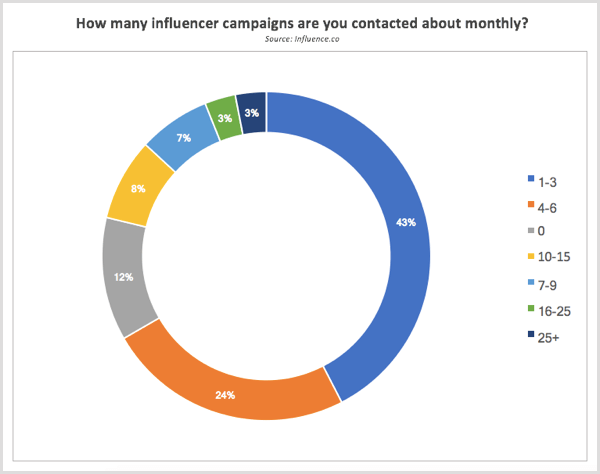 Luckily for this group, the number of social media platforms that facilitate influencer marketing (both for brands and influencers) has grown exponentially in the last year. Last year, only a handful of companies made these connections. 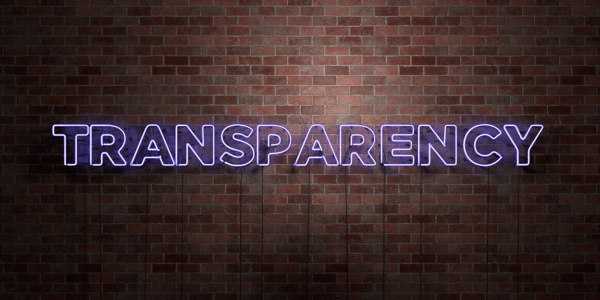 This article on TopRank Marketing, however, lists 25 influencer marketing tools that are now able to do everything from connecting companies with influencers to helping companies manage existing influencer relationships to assisting these influencers with managing their accounts. 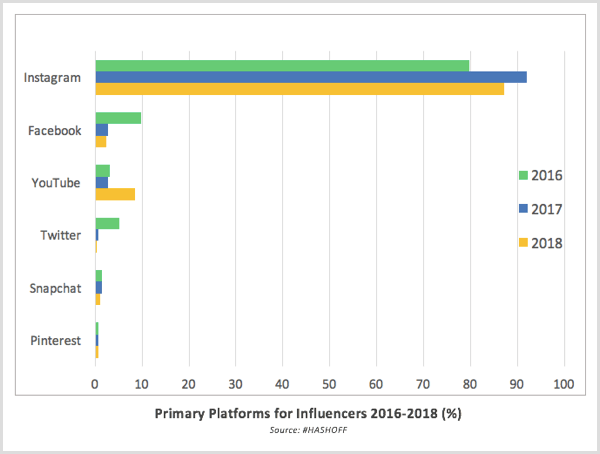 Due to the increased number of available platforms, it’s easier than ever for brands and social media influencers to pair up, which is good news for these maturing influencers. According to a study by Julius, 9 out of 10 social media influencers surveyed have been contacted by a brand to create sponsored content. Influence.co’s survey of 1,140 influencers showed that 45% of respondents are contacted about partnerships at least four times per month. For video creators looking to increase their brand ambassadorships in the coming year, it’s important to keep in mind that it’s no longer just about the number of followers they have. As with social media in general, it’s about the volume and types of engagement influencers get and both brands and influencers are getting better at measuring the ROI of their campaigns. Influencers are seeing themselves as brands and business entities, so it’s just as important for them to see successful numbers from the brands they partner with. Influencers have to be prepared for the time commitment. Of the influencers who responded to #HASHOFF’s survey, more than 35% of them still hold full-time jobs, while only 12.3% have been able to earn enough money to make it their only form of employment. Additionally, as influencer marketing has gained more traction, the Federal Trade Commission (FTC) has taken notice. They recently sent out letters to some of the biggest influencers on Instagram, reminding them that they have to clearly disclose, when applicable, that their posts are sponsored. Video content creators have to be aware of (and keep current with) the changing legal landscape. As previously mentioned, the most successful influencers operate as their own brands. Because of this and the fact that companies are reaching out to them in greater numbers, influencers have become more selective about whom they work with. That wasn’t always the case, though. A few years ago, a popular canine Instagram account started incorporating an expensive luxury vehicle in many of its posts. The dog’s owner (a photographer) positioned this “storyline” (if you will) as though dog and owners were taking a cross-country trip. Just about all of this account’s posts featured shots of the dog interacting in different ways with the vehicle. It started to look very unnatural. The account followers started questioning this blatant commercial partnership not because they had a problem with the creator trying to monetize the content, but because a luxury vehicle brand and a photogenic canine really didn’t fit together, regardless of the story they were trying to tell. As a result, the account owner became extremely defensive toward the commenters and any social media marketer knows what that leads to. Consumers respond so well to influencers because they feel they’re sincere when they’re showcasing products. And, according to studies, they appear sincere because they are. They’re authentic. They appear approachable. 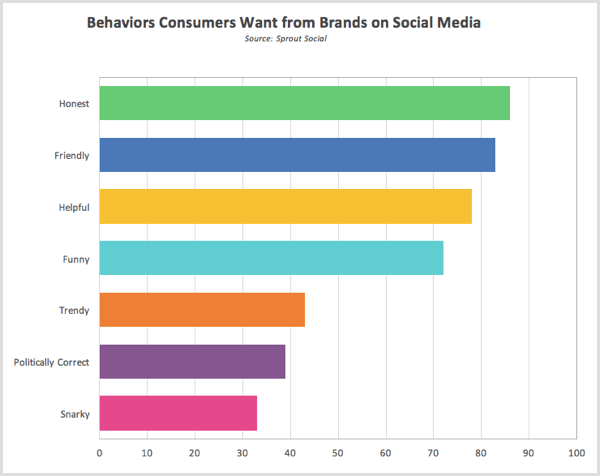 And as Sprout Social’s report shows, those traits are what consumers are looking for from brands. When working with brands, video content creators who want to become social media influencers should start by not only partnering with brands that are related to their own, but also sticking to brands that have positive reputations with consumers. It’s also important to keep in mind that having creative freedom over the content they post is imperative to ensure influencers remain true to their own brand. Some larger brands are uncomfortable with giving away that control, so it’s up to the influencers to stay true to themselves and their own brands by continuing to create honest, authentic content that aligns with their business goals. More companies than ever are getting into influencer marketing, so it’s a great time for video content creators to try their hand at it. As long as they stay true to their own brands and remain sincere and authentic, brand ambassadorships will become another way to monetize their digital content. What do you think? Are you a creator interested in creating sponsored content? What tips can you offer? Share your thoughts in the comments below. Michelle Krasniak is a copywriter with over 15 years of experience in finding the perfect way to say anything. Connect with her on LinkedIn.